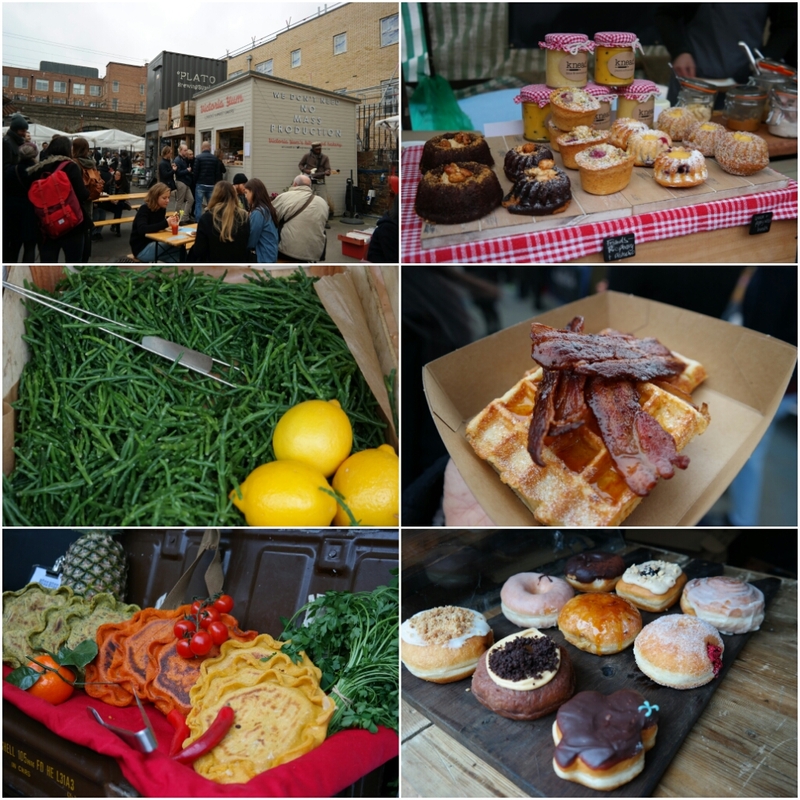 As a great fan of street food, I paid a special visit to Broadway Market and Netil Market after hearing all the great feedback from fellow foodies. 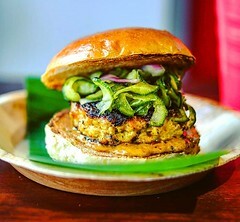 Just as the many instagram posts and Twitter feeds described, it is a street food haven! Netil Market – small market with a wide variety of stalls selling savoury street food, homemade baked goods, tea / coffee and nifty fashion items. There’s live music to add to the vibe too! 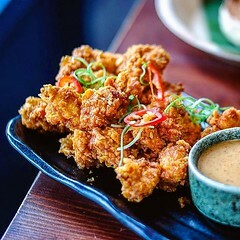 Stalls include well known vendors @Bao_London and @VictoriaYumCake. Broadway Market – the market is split into 2 parts. The main market fills an entire street with fresh produce, street food, arts and crafts and artisan bread and cakes. The hustle and bustle of the place is infectious! I couldn’t help feeling excited just seeing and smelling the food. And then there is the other part known as the Schoolyard Market. This part is mainly occupied by burgeoning street food traders as well as the established names like @CrosstownDough @TheFrenchieUK @BadBrownieCo and @NudeEspresso. Less crowded and more relaxed, this is my preference of the two. 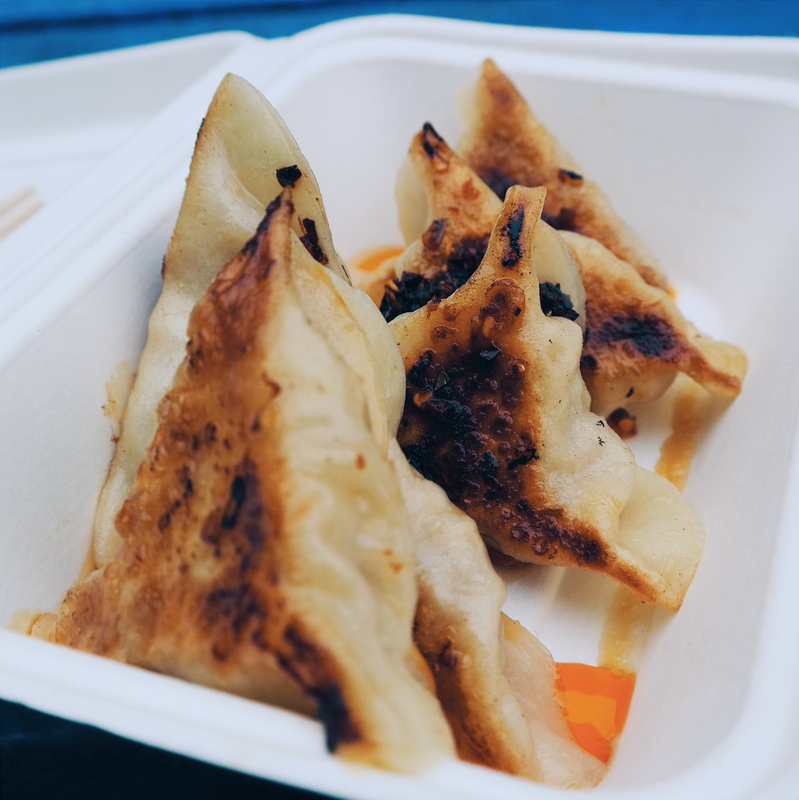 The Dumpling Shack is situated in the cooler Schoolyard Market part of Broadway Market. Owner and chinese dumpling king John, shares my appreciation for good food. He has long spoken of his ambition to start his own food business. Through dedication and hardwork, the Dumpling Shack was born. 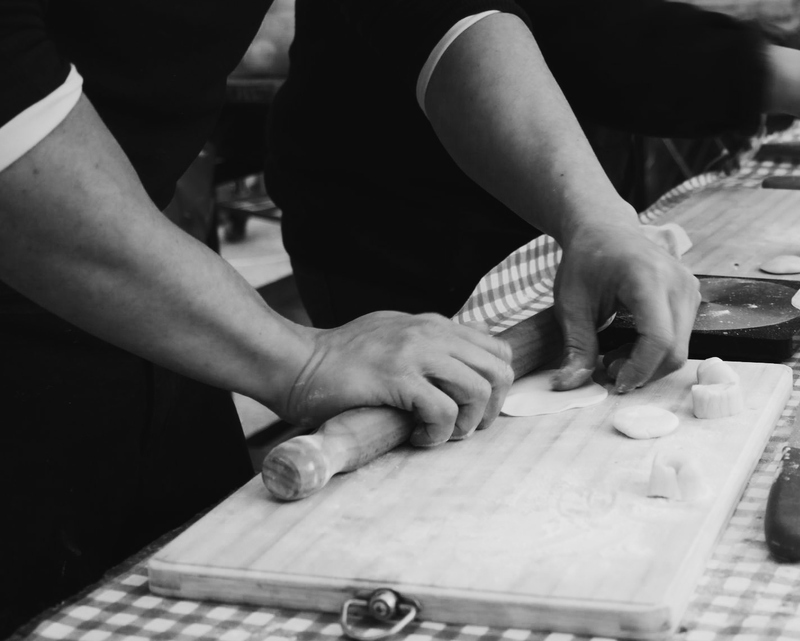 John’s handmade dumplings have impressed passing punters and food bloggers alike. 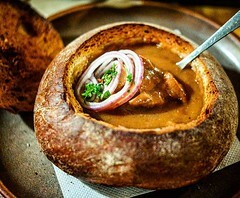 On his menu, there are the staples, such as the Classic pork dumpling and the Veggie dumpling. There are also the specials, Lobster dumpling, Scallop dumpling and the one I am dying to try – the Breakfast dumpling (contains sausage meat and quail egg). 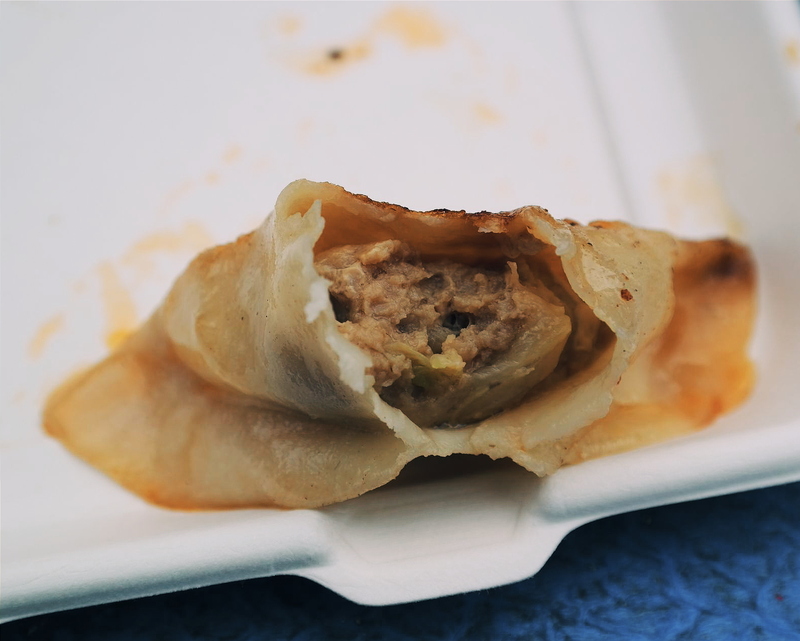 John’s dumplings are also featured on My Top 15 Dishes for 2015. In my dumpling consumption experience, the downfall of chinese dumplings is usually due to thick, doughy skin or dry, tasteless filling; or worse, BOTH! I sampled a portion of John’s Classic pork dumplings, with extra chilli oil. They look good, tasted even better! Dumpling skin – perfect texture and thickness, complete with “crispy bottom”. Pork filling – well seasoned, tender and juicy. Definitely some of the best dumplings I’ve had in London. 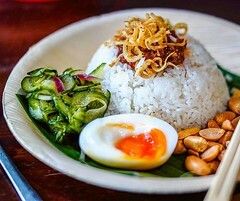 Though the street food market is highly competitive. I think John has found a gap in the market with Dumpling Shack. I can already see a following of dumpling fans slowly building… Eagerly anticipating the next move of this humble Dumpling Shack.